Immediately after retiring in June from teaching English at Dawson, I began to miss it. Yet, I had wanted to be free to travel more and not have to clock in to a tight teacher’s schedule. I hadn’t realized how much I’d miss the banter with colleagues, sharing my life with them, and changing the lives of my students. Probably what got me to stop feeling sorry for myself over my retirement was the crisis that occurred with my mother-in-law Ruth, who will turn 100 this month. She fell and broke her left elbow in her apartment on Macdonald Ave.
She has lived there for more than 40 years. Since her beloved husband, Harry, died in 1980, she has been living alone, but spent winters either doing volunteer work with groups in Israel or getting together with friends and fellow snowbirds in Deerfield Beach, FL., where she had a condo. Only in the last eight years has she agreed to part-time help but, on her terms. 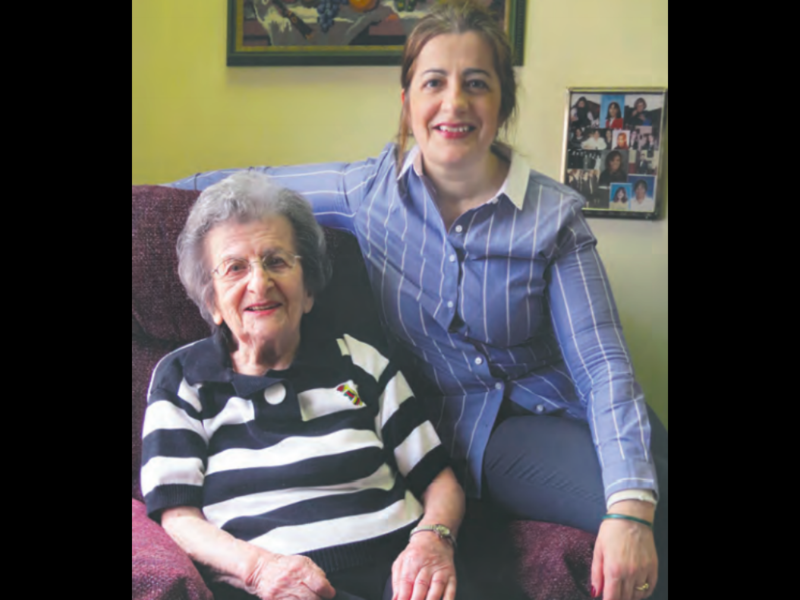 She was still cooking for herself and, apart from weekly attendance at synagogue services and outings with family, was leading quite a solitary life. Independence for her was crucial. “If they take me out of here, it will be in a box,” she often quipped. She agreed to do so to convalesce. And with the major assistance of longtime friend, social worker, and real estate agent, Bonnie Sandler, we were able to move Ruth into a residence within two or three days of alerting Bonnie to the situation. In fact she had two to show us the day after I called her. We chose Westhill Residence in NDG for several reasons. It is on Irwin’s walking path to Westminster from our home near Monkland. I had visited there before and knew the administrator Mario Poliziani. The ratio of staff to residents seems right. It was professional but homey and the rooms were bright with the opportunity to slowly make them reflect the personality of the resident. At first Ruth was distressed and wanted to go home. But she soon got used to being “pampered.” Her food was cooked for her and she liked it. The cook seems to have taken a special interest in making Ruth happy. For the first time in 40 years, she has people around her all the time, but if she wants privacy she can close her door, watch TV, and read. And yes, she reads both in English and in Yiddish. A caring staff looks after all her needs, especially Tina Xenakis, the hands-on supervisor. Tina and Ruth get along beautifully. They walk together. They talk together. Not everyone is as cognizant as Ruth and not everyone can hold a conversation, but Ruth has found several ladies she can talk to at mealtime. The second night there she wanted to watch Jeopardy and didn’t have her own TV yet. The staff was quick to put it on the living room set and soon she was right at home, watching her favourite show. Back to why this crisis lifted my spirits: I’m not sure. I suppose helping people do what makes their lives better is what I have always loved. I seemed to be the one to cope best with Ruth’s move and make it happen. 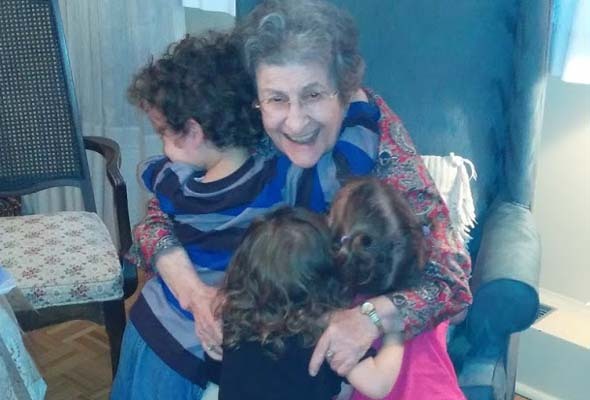 Her three children were so used to her being on her own and seemingly invincible. And her two daughters don’t live in Montreal. Now I’m in Ecuador and happy to know Ruth is surrounded by tender loving care from her son, her caregivers at Westhill, and from her friends at Dorshei Emet, her synagogue. We are indebted to Bonnie, and the Westhill staff, for making Ruth’s move a positive and life-altering experience. As we say in Yiddish, ‘till 120, my dear Ruth! For you we might have to add a few years! Be the first to comment on "Our mother found a new home and eased my retirement blues"